Esophageal cancer is on the rise, and doctors are trying to figure out why. Esophageal adenocarcinoma – the kind of cancer that is related to heartburn – is being diagnosed more often than ever before, and it is often fatal. Still, it is a rare type of cancer. Only 15,000 cases are diagnosed each year. But Dr. Raman Muthusamy, director of advanced endoscopy at the University of California – Los Angeles, believes that the public should be more aware of the risk factors of esophageal cancer. 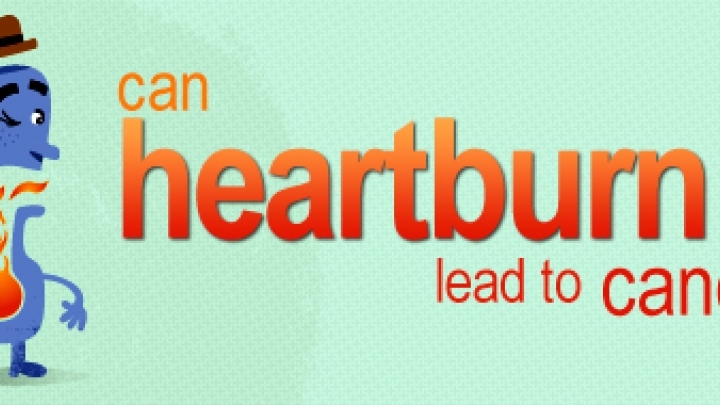 A sedentary lifestyle, poor diet, and extra weight are increasingly common for Americans, and they're also risk factors for heartburn. Very few people with heartburn end up with cancer, but many are diagnosed with Barrett's Esophagus, the precursor to cancer. dailyRx spoke with V. Raman Muthusamy, MD, a specialist in gastrointestinal conditions, about what people with heartburn or other symptoms of acid reflux should know about esophageal cancer. dailyRx: How common is esophageal cancer? Dr. Muthusamy: Esophageal cancer is a relatively uncommon cancer. There are probably 15,000 cases of esophageal cancer diagnosed in this country each year. In addition, there are two types of esophageal cancer. One is squamous cell carcinoma – that's associated with alcohol and tobacco use. That's by far most common cause of cancer in the rest of the world – Africa, Asia, the Middle East. But in the developed nations, the adenocarcinoma - which is the cancer associated with acid reflux and Barrett's - is actually is rising the fastest. In the United States, we have more adenocarcinoma than squamous cell. If you take a look at the big picture, it's not that common relative to colon cancer, which is 150,000 – 160,000 cancers. The reason it's important is that it's a very bad cancer to have. Five year survival is only around 15 percent. It's one of those cancers that is rare, but if you get it, you have a very bad prognosis. Most people present late, and the tumor is at an advanced stage. By the time they find out they have it, it's when they have a lot of trouble swallowing. Food gets stuck, because the tumor is so large it's blocking the food pipe. By that time the tumor is at an advanced stage and may have invaded local organs, and spread to other organs. It's something that's not able to be cured. dailyRx: What are some of the reasons why esophageal cancer has risen over the past decades? It's the fastest rising cancer in the United States in terms of percentage year over year. Esophageal cancer has exploded – adenocarcinoma in particular – frankly because of our sedentary lifestyles, poor diet, and increasing obesity, which is of course a risk factor for developing heartburn. We catch people with Barrett's [esophagus]. Barrett's is present in between 0.5 percent and 1.5 percent of the US population. Which, in raw numbers, is potentially two to three million people in this country. dailyRx: Barrett's esophagus is a pre-cancerous condition. Can you describe it? It's a condition in which the lining of esophagus takes on lining that's more like stomach or intestine. The natural lining is similar to your skin. When you have chronic reflux the body protects itself against chronic acid exposure by changing the lining of the lower esophagus to protect against all this backwash. That change in the lining is a condition that Dr. Barrett noticed and it's often associated with a color change in the esophagus. That color change suggests the development of Barrett's esophagus. But the diagnosis is actually made microscopically when you see certain types of cells lining the esophagus. It's similar to if you work with your hands, you develop calluses to protect against wear and tear. This is essentially a protective mechanism. dailyRx: How does Barrett's esophagus develop into esophageal cancer? If you look at the numbers, there are 7,000 – 8,000 people with [adenocarcinoma]. But there's potentially 1 or 2 million with Barrett’s. The take home is that Barrett's, while it increases your chance for cancer – some studies suggest as high as 8 to 40 fold - it's just like saying your chances of winning the lottery are higher, but don't bank on it. The vast majority will never develop cancer. The problem for us as physicians is trying to figure out who is going to progress and who is not. As of 2012, we don't have good answers. That's where all the research is being focused. Hopefully we'll have some good predictors within the next five to ten years. dailyRx: How do you approach telling people about this cancer if you don't know who might be at risk? We still do recommend that – even though it's not perfect - if people have significant heartburn, frequent symptoms, or for example, if they have early symptoms of trouble swallowing, it might be a reason to get a scope test to check to see if they have damage from reflux disease or development of Barrett's or cancer. But I do want to emphasize it's an uncommon cancer. When we scope people, we don't expect that they will have cancer. But we are trying to figure out an answer of why they're having symptoms, especially if they're not responding to normal treatment. dailyRx: If people are worried, what can they do to reduce their risk, especially if they have heartburn? There are certain things that you can do. Try to lose weight is one thing. Avoid eating late at night. There are certain foods that can lower the valve. There's a sphincter muscle is supposed to be clenched tight and only open up when you swallow. But sometimes its either loose or relaxes inappropriately. It could be loose sometimes because of certain foods. Alcohol, caffeine, tobacco, chocolate, or fatty foods, can lower that balance pressure.